Whether you want a generalist automation kit or a security-savvy alarm system, these DIY tools are the best of the bunch. From smart light bulbs and thermostats that think for themselves to Bluetooth door locks, wireless security cameras, and all manner of sensors, today’s home automation technology can sound awfully sophisticated while actually being a messy hodgepodge of gizmos and apps. Installing all this stuff in your house is only half the battle. Getting it to work together smoothly and with a single user interface can be something entirely different. Here’s the essential gear to get you there, which we’ve separated into two categories: all-around smart home systems, which are designed to coordinate a wide variety of smart home products, and security-focused systems, which are built around sensors and sirens. You should also note that some of our picks are starter kits, consisting of a smart-home hub and a handful of devices, while others are just the hub. You’ll need to add the components you want to the latter, choosing from products certified by the hub manufacturer. 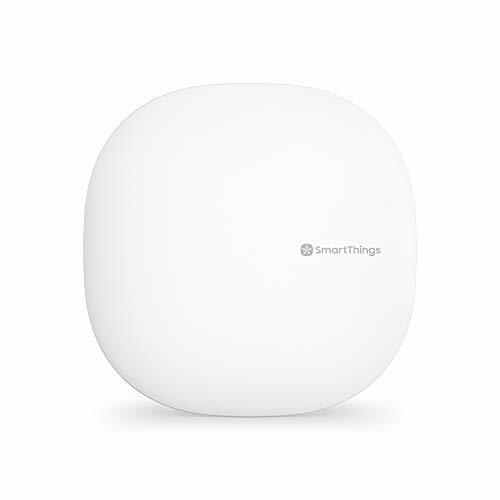 Updated March 27, 2019 to add our review of the latest version of the Samsung SmartThings Hub. This might not be the perfect smart home platform, especially for early adopters, but it is the most polished DIY solution that supports a wide range of smart home devices. Needless to say, it is now our top pick in this category. That said, Samsung's failure to provide an easy migration path from the second-generation SmartThings hub dissuades us from recommending it to existing SmartThings owners. With the imminent demise of the Iris by Lowe's smart home platform, Iris users looking for an alternative might want to know that Hubitat has announced that its Hubitat Elevation smart home hub now supports most Iris by Lowe's smart home devices (and all of its ZigBee devices, including the until-now proprietary first-generation products). You can read more about Hubitat's migration path here, and Hubitat maintains a complete list of all supported devices here. For breadth and depth of supported smart home products, you won’t find a smart home system that handles more than Samsung SmartThings. At its core is a small box that connects to your router (the third-generation Hub offers the option of wireless connectivity, while Samsung’s Connect Home integrates a mesh router with a SmartThings Hub). Through the SmartThings mobile app, you then start adding your various devices through its simple yet intuitive control system. These can be components that Samsung sells directly, or you can choose from a vast number of third-party products that boast “Works with SmartThings” compatibility. Seemingly every major category is covered, including the Amazon Echo and Google Home smart speakers, numerous smart lighting products (including Philips and Sylvania gear), the Ring Video Doorbell, and smart door locks. SmartThings can also integrate with your Samsung smart appliances. If there’s a gap in SmartThings’ coverage, it’s a lack of support for Nest and August smart home products; otherwise, it’s hard to find a market that SmartThings doesn’t play in. As much as we like the third-generation Samsung SmartThings Hub, we don't recommend an upgrade from the second-generation hub because of the pain such a migration will inflict on the user. The Wink Hub 2 is a stellar smart home system that capably organizes and coordinates your various smart devices. We continue to like Wink’s second-generation smart home system, despite the fact that the company's latest owner doesn't seem to have a clue what to do with it and has ignored our inquiries for months. On the bright side, the Wink support team was responding to tech-support issues as recently as March 27. Like SmartThings, Wink supports a vast array of protocols and smart home gear, and even has native support for a few devices that Samsung lacks, including Nest products, and Wink’s smartphone app is a delight to interact with. Ring Alarm is a spectacular DIY home security system with the potential to be much more, but don’t buy one if what you’re really looking for is a smart home solution. Ring’s long-delayed Ring Alarm home security system is finally here, and wow, was it worth the wait. For just $199, you get a numeric keypad, a base station with a siren, a motion sensor, and one door/window sensor. It is one of the best security-focused systems on the market today, but it has the potential to become one of the best smart home systems period. That’s because the system has every type of radio you’d want in a smart home system: Z-Wave Plus, ZigBee, LTE, and Wi-Fi. It works with a few third-party products today—including an outboard siren from Dome and a smart smoke/carbon-monoxide detector from First Alert—but the presence of Z-Wave and ZigBee radios enable it to support just about any smart home product on the market. And Ring says it fully intends to go down that path (we are disappointed in the fact that we haven't heard anything new on the front since its July 2018 launch). The cherry on top of this sundae: You get optional professional monitoring for just $10 per month, with no long-term contract, and that includes unlimited cloud storage for video clips from Ring’s video doorbells and security cameras. 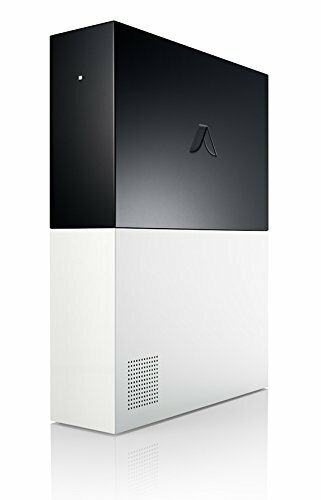 Abode works well as a basic security system, but its broader smart home integration system remains a work in progress. We really like the second-generation of the Abode Essentials Starter Kit, and it offers some features—such as support for smart locks—that Ring Alarm doesn’t. But it’s also more expensive than the Ring Alarm—especially if you want 3G radio backup and professional monitoring. Abode recently announced a new version of its gateway, which features an integrated 4G module and a more advanced Z-Wave controller. Existing users can upgrade to the new hub for $200. You can read more about it here. As we mentioned earlier, smart home systems come in a dazzling array of shapes and sizes, from brain-dead simple to vastly complex. Features vary just as widely, so you’ll need to pay more attention than usual when you’re narrowing down the field to find the product that’s right for you. Here’s a look at some of those key decision factors. To see how each system on the market measures up to those promises, drill down into the reviews at the end of the buyers’ guide. The Nest thermostat is quite popular, but it’s not compatible with every smart home system. Device support: Some smart hubs support only a small number of devices made by the manufacturer of the hub. Others offer certification programs for third-party devices and/or offer hooks into systems developed by third parties: Amazon (Alexa), Nest (thermostats, cameras, and smoke/CO detectors), and Google (Google Assistant) are the biggies here, but Apple’s HomeKit could become important later. It’s critical to consider all the devices you already have in your home, and whether the hub will support them. If the hub doesn’t support them, you might be looking at a massive upgrade later. As well, you need to think about what devices you plan to add to your network down the line. 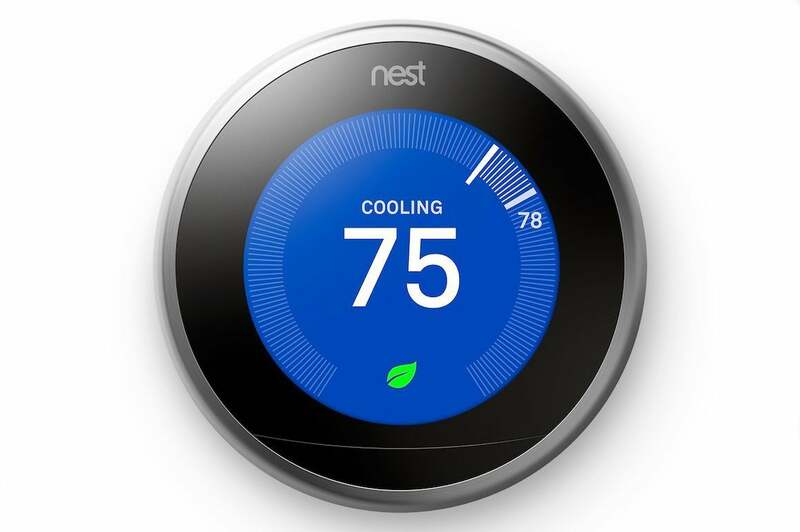 IFTTT support: Many top smart home systems support IFTTT (If This Then That), the simple scripting system that lets you connect devices that otherwise wouldn’t be. For example, you could use IFTTT to turn all the lights in the house blue if a water leak is detected by your smart hub—even if it can’t speak directly to the lighting system itself. Stringify is a similar—and perhaps more sophisticated—service, but it has not yet gained as much traction as IFTTT. 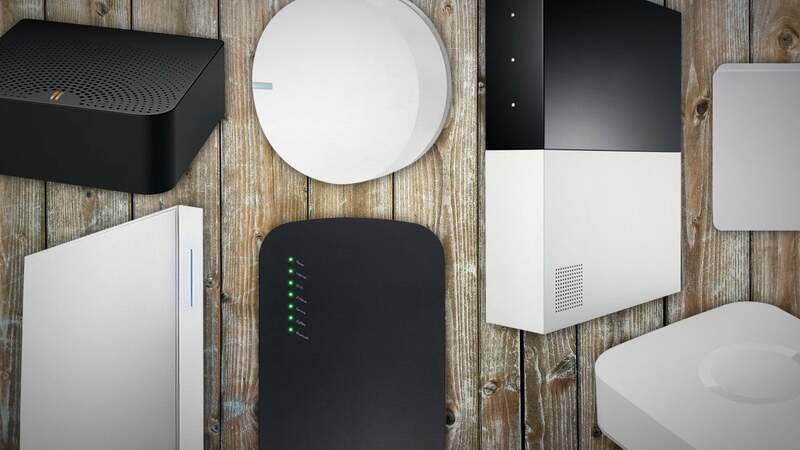 Wired vs. wireless hub connection: Many smart hubs must connect to your wireless router via an ethernet cable, which limits your placement and, of course, requires a free ethernet port on your router. That can be an issue with the new generation of puck-like mesh routers that have just two ethernet ports (Eero, Google Wifi, TP-Link Deco M5, et al). 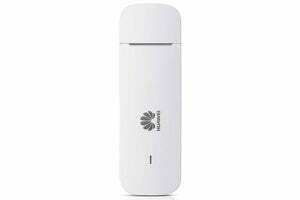 A smaller number of hubs are wireless and can be placed anywhere in range of the router, increasing your flexibility. 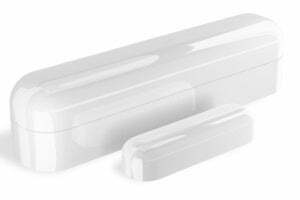 Z-Wave-based sensors, such as this door/window sensor from Fibaro, operate on a low-power mesh network. Sensor range: If your home is large or spread out, you’ll need to pay attention to the range that the hub’s sensors support. Hubs may support a wide array of connection protocols, including Bluetooth, Wi-Fi, Z-Wave, and ZigBee, all of which have very different ranges. As with a wireless router, smart hub range can also be impacted by interference and device placement, and smart home devices themselves have different specs, as well. Take the time to look into the detailed specs to be sure sensors and third-party devices will actually work with your home’s infrastructure. Battery backup: If the power goes out, your smart lights might not be useful, but other smart home features, like security sensors, rely on a hub that’s always on. Many smart hubs, even those that aren’t built around security, feature battery backups (either through rechargeable cells or standard AAs). Even a short power outage can cause a significant delay while the hub reconnects, so a battery backup makes sense in many home environments. If you like everything else about a particular hub that lacks a battery backup option, consider investing in an uninterruptible power supply to plug it into. Wink’s app keeps a detailed log of everything that goes on in your smart home. Mobile app usability: You’ll probably be interacting with your hub primarily through its mobile app, so you’ll want one that’s intuitive and powerful, with all the key features you use front and center. App-store screen shots and, of course, our reviews can help you get a sense of what you’re dealing with on the app side of things. Overall complexity: This is a companion consideration to the mobile app, relating primarily to the audience for whom the smart home system was developed. Is the system geared at everyday users with limited customization needs? Or is it built with extreme flexibility in mind, to the point where the configuration decisions might overwhelm a novice user? Again, close attention to our reviews can help you gauge how comfortable you’re likely to feel with any system. In addition to the above, the following considerations are primarily geared at systems with a security focus. Sensor support: A companion consideration to the device support issue above, if you’re in the market for a security-focused smart hub, you’ll want one that has support for all the sensors you need. Most security hubs only work with the sensors made by the same manufacturer, so you can’t mix and match as you would with a general-use smart hub. Some security systems offer only a very narrow range of sensor types, while others have a wide variety to choose from. A GSM module ensures your home security system doesn’t fail if a burglar cuts your landline. Cellular radio backup: If you could simply cut the broadband connection to defeat a security system, it wouldn’t be much good, would it? Any good security system will include a 3G cellular backup that can be used in case your broadband connection drops. You should also carefully consider the battery backup consideration above, which is essential for dealing with power outages and is a standard feature on most security hubs. Professional monitoring: If you don’t want to monitor your own security system 24/7, you’ll at least want the option to engage with a professional security company that can keep tabs on it for you when you’re out on walkabout. These invariably cost extra, which leads to our final consideration…. Service plan costs: Service plan costs vary widely from system to system, and many vendors offer a range of plans to choose from. Some systems will work without a service plan, allowing you to self-monitor. Some require a plan to function at all. Also note that lower-tier service plans might not include professional monitoring (Ring Alarm has one of the least-expensive plans: $10 per month with no long-term commitment). Price out service plans carefully before you pull the trigger. The SmartThings Hub delivers unparalleled flexibility, but at the expense of usability and cosmetics. Notion refines its multifaceted sensor system, and now it works with Nest. This system includes the basic of home security in a simple and sophisticated package, but you can’t tie your smart lighting—or any third-party smart home products—into it. Home security made ultra-easy, with the option of paying nothing for the system up front. Ooma’s rudimentary home security play is very inexpensive—especially if you’re already an Ooma customer. Hubitat’s smart home hub eschews the cloud, but extreme usability challenges make it difficult for us to recommend—especially to beginners. You don’t have to tear out your old security system: This clever upcycling arrangement gives outdated equipment new life. Scout’s system is on the buggy side, and its limited sensor options are restrictive. Oomi Home might excel in setup, but better smart home systems can be configured for much less money. Aura says its can detect motion using radio waves, but it just didn’t work very well in our tests. Buggy and quite unfriendly, this smart home hub isn’t remotely appropriate for average consumers. 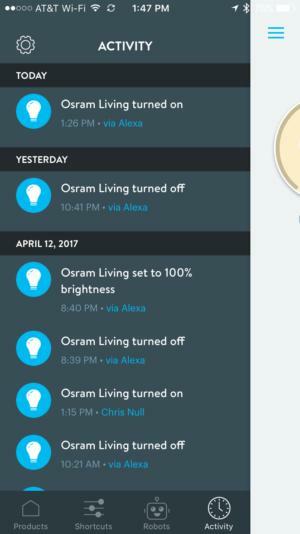 Using computer vision to intelligently control smart home features is an interesting concept, but this implementation isn’t ready for prime time. Do you really want eyes on any room in your home 24/7? nCube’s hub solution is buggy, difficult to use, and supports a minimal number of devices. So: Skip it for now.